One after one, gymnasts and other victims of a disgraced former sports doctor stepped forward in a Michigan courtroom Tuesday to recount the sexual abuse and emotional trauma he inflicted on them as children, including one who warned that girls eventually "grow into strong women that return to destroy your world." Nearly 100 victims are expected to address the court during the four-day sentencing hearing for 54-year-old Larry Nassar. Many cried as they told their stories on the hearing's first day, and some requested anonymity. Others unleashed. "I testified to let the world know that you are a repulsive liar and those 'treatments' were pathetically veiled sexual abuse," victim Kyle Stephens said to Nassar, who often bowed his head and closed his eyes or looked away as she and others spoke. She said Nassar denied it, and her parents initially believed him. Stephens said she largely blamed her father's suicide on the shame and self-loathing he felt for defending Nassar. "Perhaps you have figured it out by now, but little girls don't stay little forever," Stephens said. "They grow into strong women that return to destroy your world." "It all started with him," she said, describing her daughter's downward spiral into drug abuse. Victims described experiencing "searing pain" during the assaults and having feelings of shame and embarrassment. They said it had changed their life trajectories — affecting relationships, causing them to be distrustful and leading to depression, suicidal thoughts, and anger and anxiety about whether they should have spoken up sooner. "He touched the most innocent places on my body," said 17-year-old Jessica Thomashaw, recounting how she was sexually assaulted at ages 9 and 12. "I couldn't be just a normal girl anymore, and I forever lost a big piece of my childhood due to his abuse." "You shouldn't be angry with yourself," she told a 31-year-old victim, who said she was assaulted almost 20 years ago. "You went to him for pain and healing, and you didn't know. No one faults you or any other victim for that. You were a child." 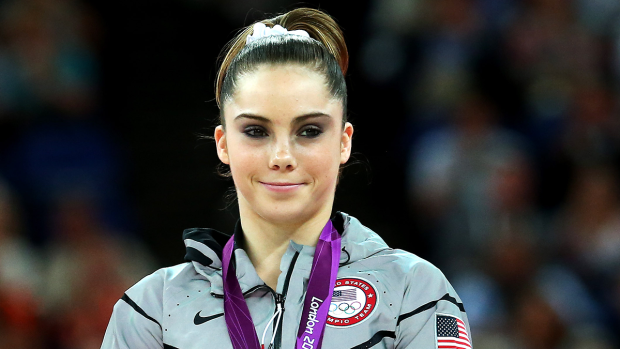 Olympic gold medalists Simone Biles, Gabby Douglas, McKayla Maroney and Aly Raisman have said they, too, were victims. Raisman tweeted Monday that she would not attend the sentencing "because it is too traumatic for me. My impact letter will be read in court in front of Nassar. I support the brave survivors. We are all in this together." 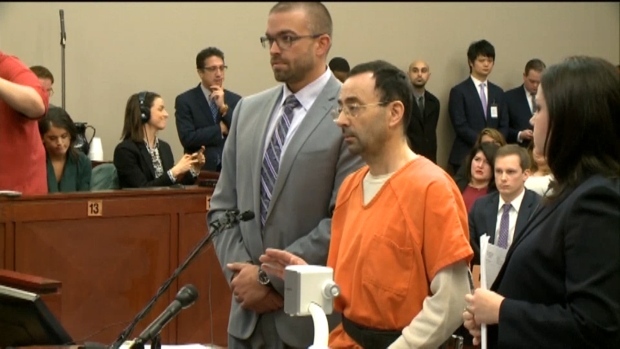 Nassar admitted in November that he digitally penetrated 10 girls, mostly under the guise of treatment, between 1998 and 2015. As part of plea deals in two adjacent Michigan counties, he said his conduct had no legitimate medical purpose and that he did not have the girls' consent. "Everybody's story that I listened to today is just an echo of everything that I've went through. They're just speaking like it's my voice," Imrie said. She said she wants young athletes "to be safe from sexual predators, from this kind of abuse."